Thank you Electrolux for sponsoring this post. 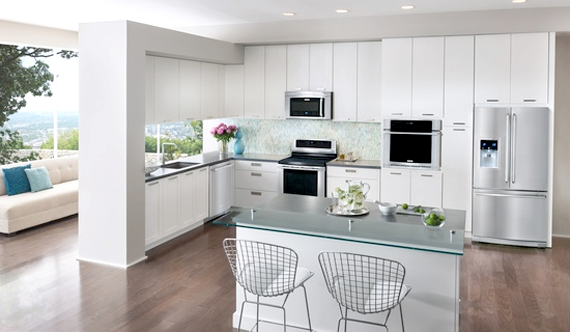 Check out sleek Electrolux matching kitchen suites for a stylish, consistent design look with innovative product features for your kitchen. Every few months, I share a pretend tour of my "dream home" with you guys. Usually this entails posting images of gorgeous interiors (and sometimes exteriors too), while I ramble on about them as if they were actually mine. Yep. 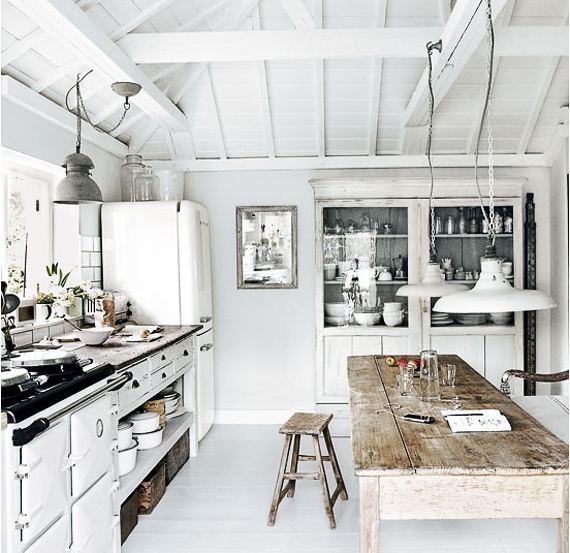 Well today, I'm focusing specifically on one room: my dream kitchen. My regular readers likely know by now that I'm not much of a cook. The majority of recipes you see posted here come from my sister Morgan, and meals in my house tend to be prepared by my husband (or if he's on the road, by me - via the act of opening a box containing an organic frozen meal and sticking it in the oven). But my lack of cooking prowess does not mean that I don't love being in the kitchen. Creating a really great space to make morning coffee, house groceries, entertain, display our vintage mixing bowl collection, and yes, cook, is actually quite important to me. The thing that appeals to me about all of these particular kitchens (enough to make them dream kitchens for me!) is that they have just the right mix of cohesive aesthetic and practicality. 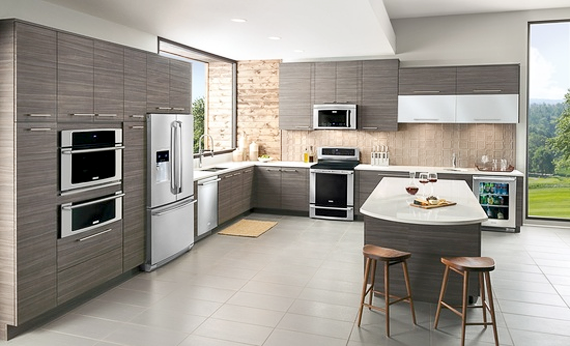 The key to creating a stylish yet functional kitchen is embracing the art of "Suite Design," by selecting beautiful appliances that complement one another - like the Electrolux matching suites of appliances. I love that their designs are sleek, timeless, and ingeniously designed to enable professional results. The modern, minimalist suite and clean, white suite with matching stainless appliances in the two images above are my Electrolux favorites. Even if you're not an expert chef, I think that the kitchen is the heart of the home in so many ways. You spend time in it every single day - not just hanging out, but actually doing things. 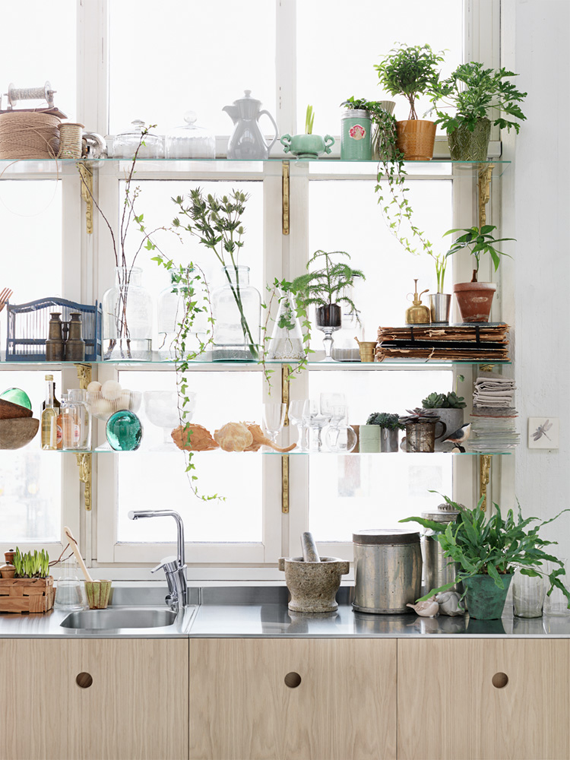 My real-life kitchen is very small, and although I do my best to keep it organized and visually appealing, it sure would be nice someday to have a kitchen like the ones that exist in these photographs. For now, I'm fine with continuing to pretend. There's nothing quite as inspiring as the spaces in your daydreams. What beautiful kitchens! Dreaming for something important to you is like making a to do list for the future. 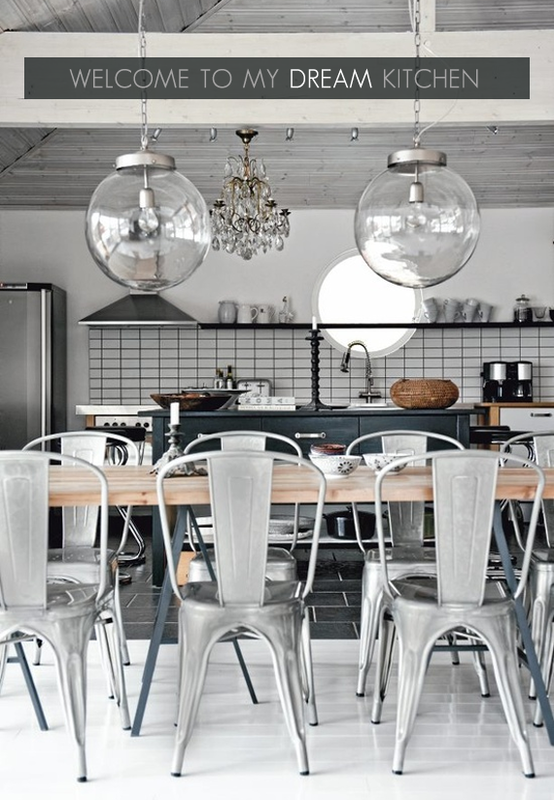 A gorgeous clean kitchen is on the top of the list that goes in the "Dream House". All such beautiful kitchens!!! I'd be so happy to cook in any of these!! LOVE that beautiful wooden island with a view!! 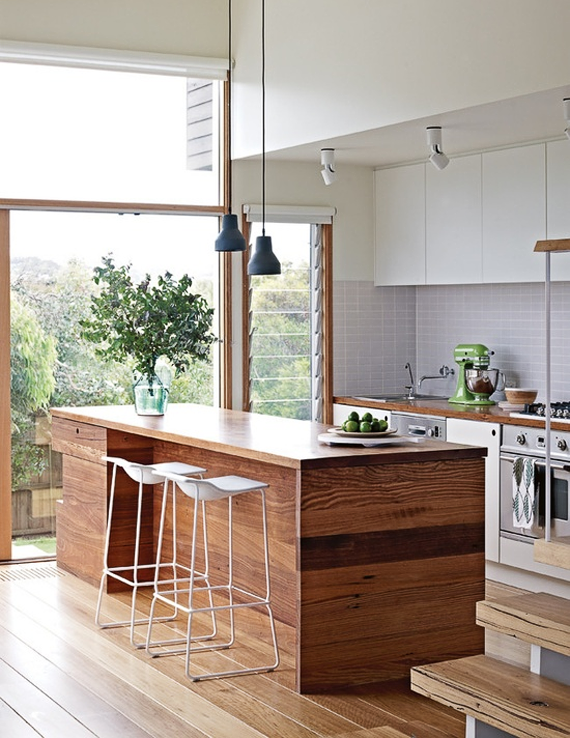 I love how light and airy these kitchens all are! 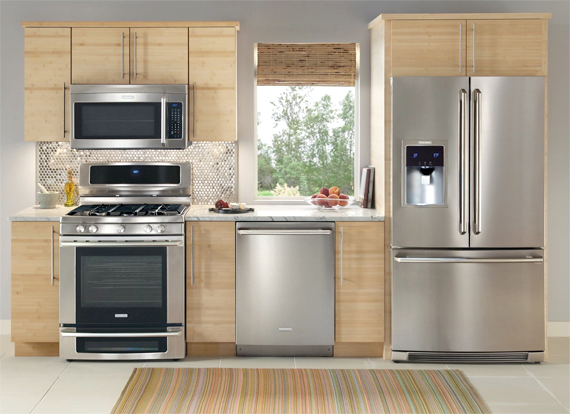 Makes for a very inspiring space and the Electrolux appliances really add to it. I love the under the counter wine cooler they have on their site -what a dream appliance! Gorgeous! I love that window! Perfect for cooking. Love this! I need to do this on my blog now!